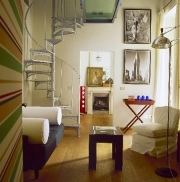 Casa Howard is situated in the expensive side of town, at a walking distance from the railway station, the Uffizi, the Duomo and Via Tornabuoni. 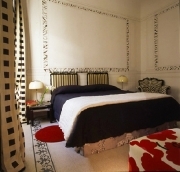 Casa Howard Florence is an outstanding property offering individually designed rooms. The property opened in November 2004 after 2 years of intensive refurbishing. We kept all the original flooring and ceilings to fully achieve the Casa Howard Concept: very high standard houses aiming to host special People. 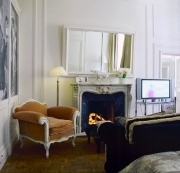 The guest house has 10 rooms, 1 small apartment and 2 suites. Newspapers, Garden, Terrace, Non-Smoking Rooms, Elevator, Soundproofed Rooms, Heating, Design Hotel, Luggage Storage, Gay Friendly, Designated Smoking Area. Massage, turkish bath / Steam Bath, Hammam. Room Service, Babysitting / Child Services, Laundry, Breakfast in the Room. Wireless internet is free available in the entire hotel.